Gather all equipment and ingredients. Prepare food as per the ingredients list and read your tips and techniques. Sprinkle the sugar evenly over the base of your pan. 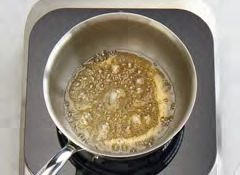 Pour the water in and around the outside edge of your pan to evenly distribute. Place pan on the Multi Cooker. Select PAN CONTROL. 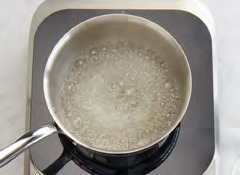 Set pan temperature to 130°c. Select intensity FAST. Bring sugar and water to the boil. 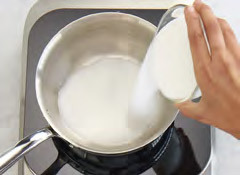 Boil rapidly for 4-5 minutes or until sugar is dissolved. Increase set pan temperature to 180°c. When water has evaporated from the syrup, it will begin to bubble slowly. The caramel will begin to change colour from light pale golden to golden amber. TIP: For a light caramel cook for 10 mins. 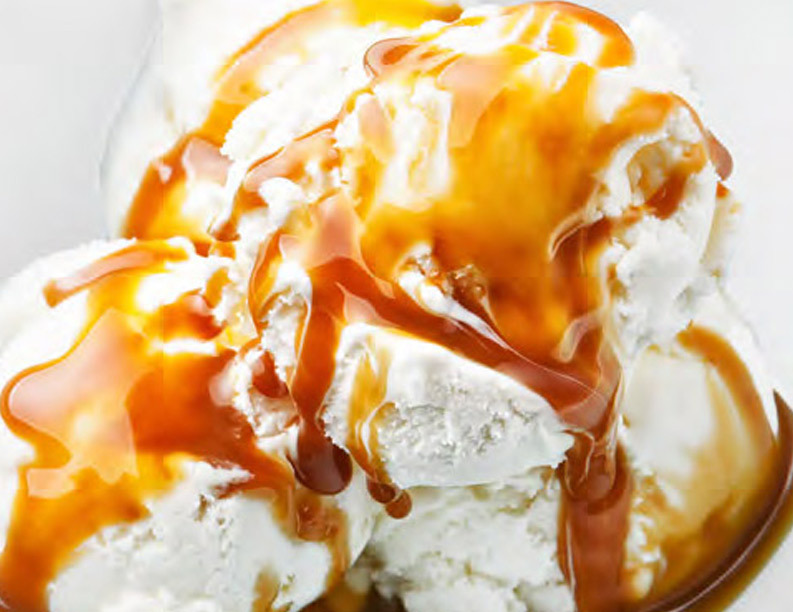 For a medium caramel cook for 13 mins. For a dark caramel cook for 16 mins. When the desired depth of caramel has been reached, remove pan from the Multi Cooker. 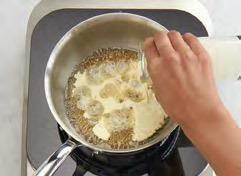 Whisking continuously, gradually add cream and whisk until combined and smooth; whisk in salt. Serve hot or cold when required. When do u pull the milk?